Plastic Automatic Pipe Winder machine is mainly used for winding PE pipes, aluminum pipes, bellows and other pipes or profiles. This pipe winding machine is highly automated and is usually used with the entire production line. It is controlled by gas. The winding uses a torque motor. This pipe winding machine can wind the pipe well and work stably. 1.Plastic Automatic Pipe Winder machine is mainly used for winding PE pipes, aluminum pipes, bellows and other pipes or profiles. This pipe winding machine is highly automated and is usually used with the entire production line. It is controlled by gas. The winding uses a torque motor. This pipe winding machine can wind the pipe well and work stably. It is available in a variety of models, such as 16-40mm single/double tube winding machine, 16-63mm single/double tube winding machine, 63-110mm single tube winding machine. Therefore, customers can choose according to their actual needs. 2.Plastic Automatic Pipe Winder machine uses automatic winding to adjust the winding speed and winding method. It has two discs for continuous winding. The ribs of the upper wheel are pneumatically opened and closed. It is equipped with a ray tube holder that automatically winds the displacement. It rolled up in an orderly manner. The machine structure is very compact. It is highly automated. It has a good aesthetic and is easy to operate. 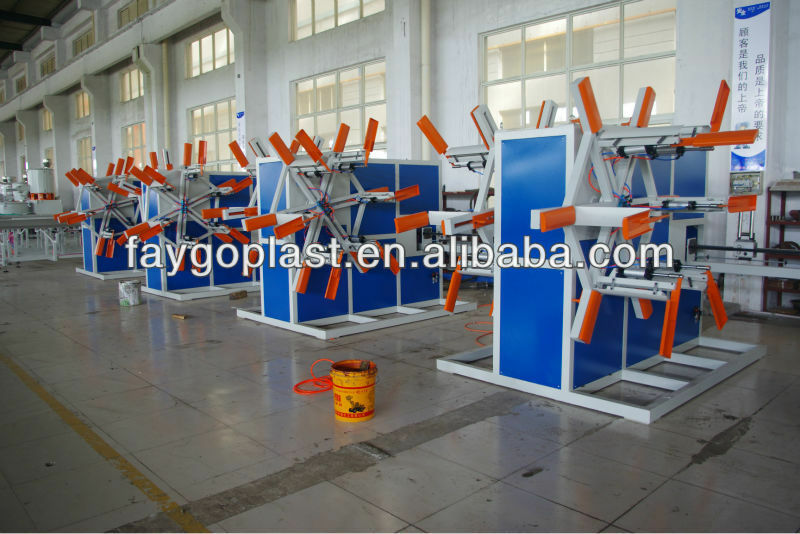 Plastic Automatic Pipe Winder machine uses automatic winding to adjust the winding speed and winding method.